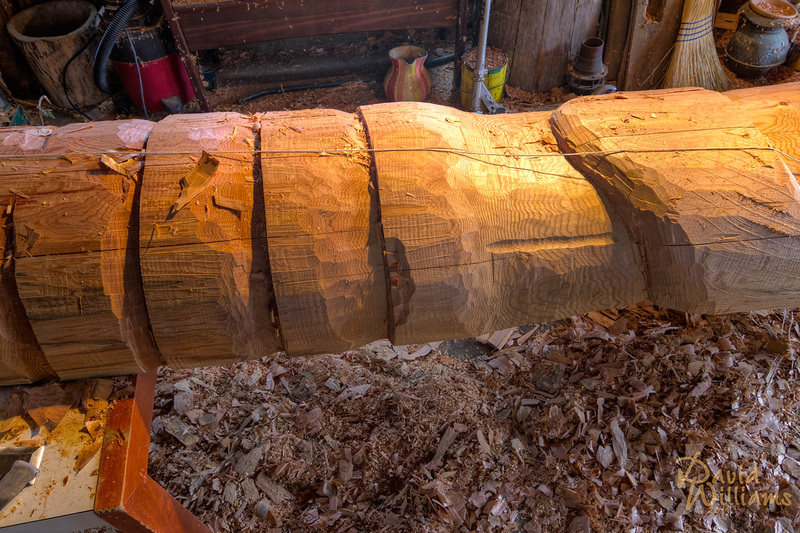 The log is red cedar from Lake Kachess, Washington, 15 feet tall and is about 250 years old. The expected completion for this Totem will be in early September and the trek to Fr. Liard will start the same time (have to stay ahead of the snow). If you are wondering, it’s about 1215 miles from North Bend, Washington (where the Totem is being carved) to Ft. Liard, Northwest Territories, Canada. Nice shot David, I love the warmth that the lighting gives the wood. Just imagine what that tree experienced in 250 years. I look forward to seeing the final product. Thank you, I am really looking forward to documenting it! This is impressive. Is Bob the only one working on the totem?